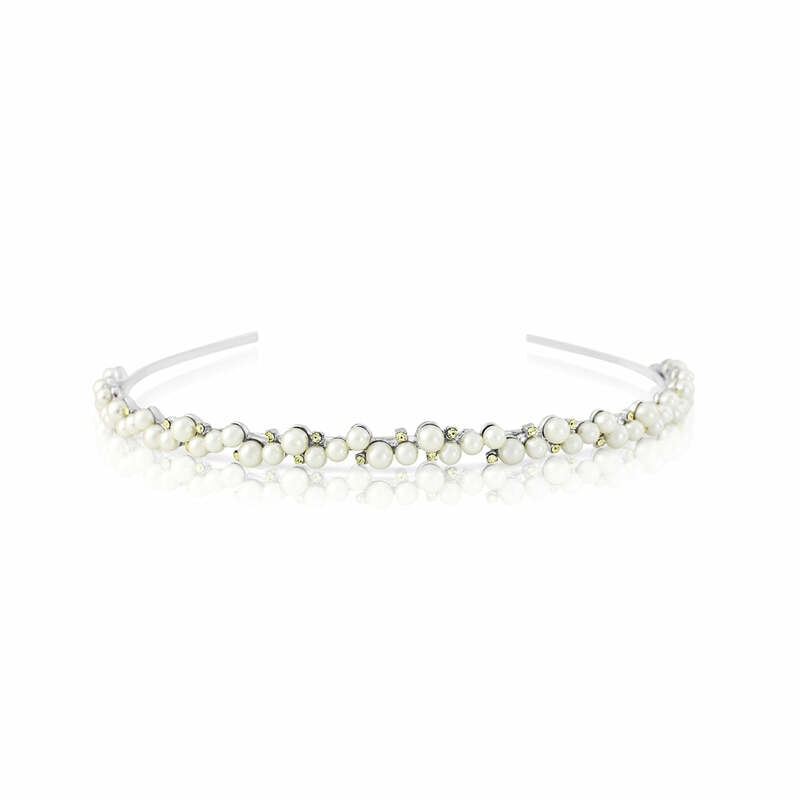 A classic pastel pearl headband which epitomises the glamour of 1950s with a beautiful lemon twist. Our exquisite Lemon Dream Headband combines the prettiest pastel shades with the most delightful vintage style. A sensation of the creamiest pale lemon pearls interspersed with pretty pale lemon crystals in a beautiful 1950s inspired band. So versatile, this feminine pastel piece will dress long tumbling curls, a timeless updo or a stylish bob with shimmering sparkle. Unleash your inner retro style and team with a circular Sandra Dee full skirt or complete classic grace and accessorise a floor length prom dress. A yellow wedding theme can combine an array of yellow hues for the most mesmerising special day charm. For a Spring or Summer wedding bridesmaids will look sensational glistening in a combination of our mix and match Lemon Dream accessories with hand tied bouquets of dainty daisies.